Priced from $699, our Steam Vaporizer sauna heater features 100% stainless steel construction and fast warm-up time. A built-in water reservoir has been added so water can be automatically vaporized to raise the humidity in the sauna. Health professionals highly recommend stainless steel heaters for allergy sufferers as these heaters do not off-gas from galvanized, painted or aluminum parts. Our sauna heaters are ideal for "wet" saunas, "dry" saunas, steam saunas, hot rock saunas and Finnish saunas. 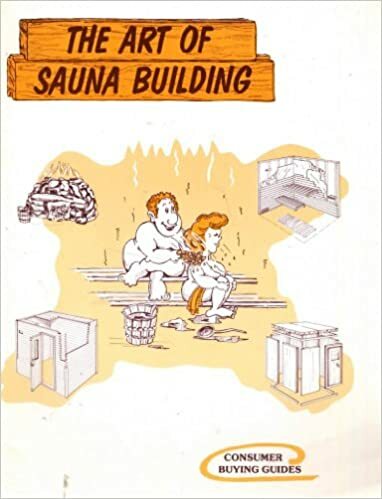 with our Sauna Building Book! 164 Drawings Helped a Lot! Our volume allows us to sell at lower prices! A water reservoir is built into the heater so water can be automatically vaporized into the sauna air to raise the level of humidity to a more comfortable level for better sweating. The elements are low-density longer-lasting elements that can withstand the shock of water thrown on the elements. Hence the Limited Lifetime Warranty as these elements are superior to the regular stainless steel elements used in other sauna heaters. The use of surgical-grade stainless-steel eliminates off-gassing from metal or painted parts inside the sauna heater. Saunas are to help us detox. Read more: The Health Benefit of a 100% Stainless-Steel Sauna Heater. #3 BIC --- Built-in Control mounted on the heater - uses the same mechanical controls as #2. Most sauna heaters require a dedicated 220 volt hard wired circuit. Every home has 220 volt electricity. Correct name is 240 volt. Sauna height 78" to 84": use 1 Kw per 46 cu ft.
Sauna height 84" to 96": use 1 Kw per 40 cu ft.
** Sauna warm-up time of 20-25 minutes is based on a maximum height of 7', the heater is correctly sized to the room and the thermostat setting. Most saunas warm-up in 20 minutes. Limited Lifetime Warranty - others are only 1-3 years. Use of Water on the Hot Sauna Rocks is OK! A Steam Vaporizer electric sauna heater can be used safely with water thrown on to the hot rocks to increase the humidity so the air is not too dry. There is no harm done to the elements in home use. Or you can run the equipment as a dry sauna heater with no water. Coming Soon: The Importance of Humidity for Health and Sauna Enjoyment. All galvanized parts, painted steel parts and aluminum have been eliminated by stainless steel components in the Steam Vaporizer sauna heater. Medical experts highly recommend the Steam Vaporizer sauna heater for people who have sensitivities, have experienced allergies or for those who may develop sensitivities in the future. This Vaporizer sauna heater and every electric sauna heater is CSA-Approved and UL-Listed in the U.S. to meet the latest electric sauna heater standards and safety code requirements for sale in Canada and U.S.A.
Best Seller Sauna Heater ... is our Special Edition with limited lifetime warranty. Sauna Heater Dealer ... the best sauna dealer with 74 heaters: Home Sauna Kits Since 1974.